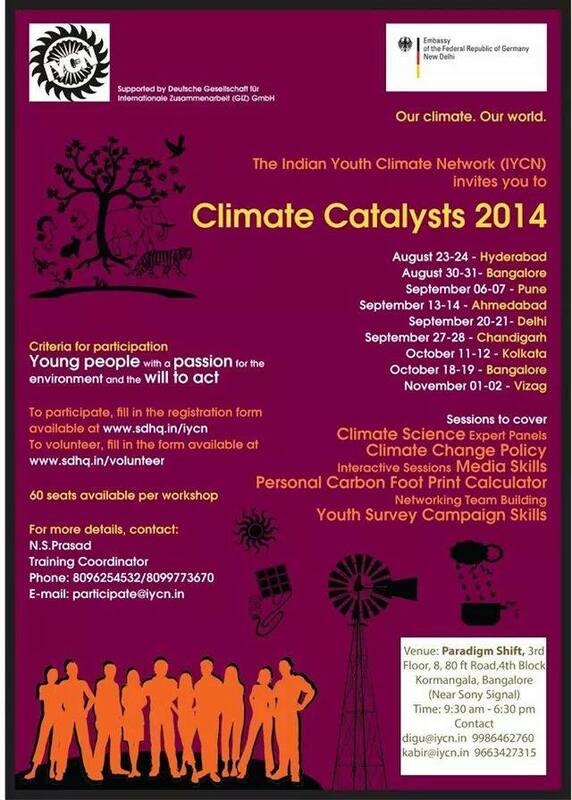 IYCN | What's with the Climate? The following is an address at the Youth Summit segment of the Renewable Energy India Expo 2008 held in Pragati Maidan in New Delhi on August 23, 2008. Kahi saalon pehale, humne, badi mushkil se, ek azadi payi thi. Aur indino hum ek nayi azadi chahte hain. There comes a time in our lives when we have to take a stand for something. Every generation is defined by some large event or movement. Ours is a unique case in that the event is something that has gained momentum with time with no clear victims and perpetrators. The damage caused till date and that which awaits us is on such a scale that to begin to comprehend it may leave you feeling helpless and in despair. We know the root problem and there is tension in the understanding for the need of a groundswell movement that will not only define us as a generation, but decide the fate of humanity. There has been a lot of talk about freedom at this expo. Someone mentioned a “quit oil movement” and the Honorable Minister of MNRE also spoke from the heart about doing more than just business here. There is an apparent need to turn renewable energy into a movement. Let us go back to the “stroke of the midnight hour” and the tryst we had once made with destiny. Let us renew our pledge not only to ourselves but to the still larger cause of humanity. For this time, as the world slowly awakens, India must reignite its ingenuity and its drive for freedom to rid ourselves of the burden of foreign energy sources and those that will make the planet play dearly. We as a nation stand at the crossroads of not only defining our own developmental future but the ecological future of the entire planet. Climate change is a simple call for humanity to unite and as youth we make up nearly 48% of the global population. In India with nearly 3/4ths of the population being below the age of 30, we ARE youth. It is our future that is on the line and we must get engaged in the debate. Youth around the world are uniting for the cause. They are vying for a seat as official stake holders (alongside the World Bank, the IMF and many civil society organizations) at the UNFCCC, the international body attempting to frame the next global deal to address this crucial matter. In Bali when the road map for this next global deal was unveiled there was no youth representation from India. A country who is coming under greater scrutiny for its current stand on the matter, and which is majority youth must see to it that its youth are found there. 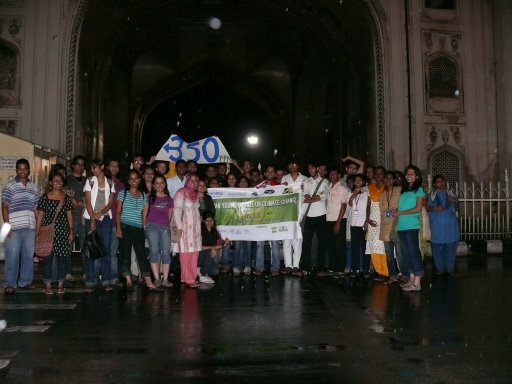 The Indian Youth Climate Network was born out of this idea and with the belief that youth needed a platform to discuss and debate the issue of climate change in an attempt to drive consensus on the need to take action on the matter here in India. We can take our economy to new heights by pushing for green jobs. 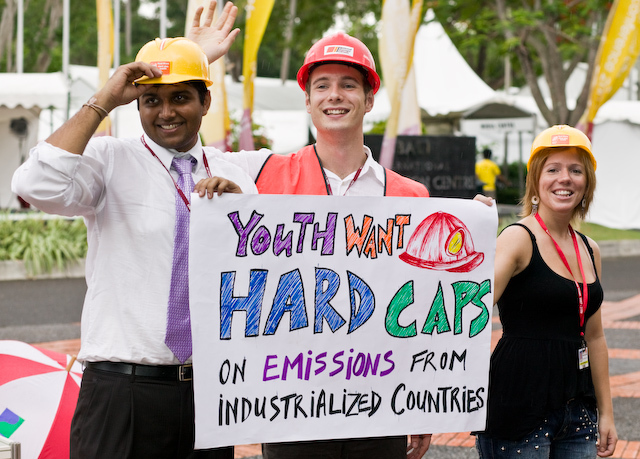 We can push for a cleaner, brighter future by engaging the government in policy. We can demand climate justice in the international forum but ensure that we are having it here at home as well. This is an andolan to beat all andolans as there is no time to lose. If we lose this one, we may not be around to have any more andolans. Recently a close friend of mine in the climate movement broke down and cried. Her words shook me: “I think what makes me sad is that I may not live to see the successful end of climate change.” I think those of us who are in their 20s know that grave danger lies ahead and that the least our generation can do is to take considerable steps to ensure that those younger than us can have a glimmer of hope. The winds of change have started blowing. Over 150 youth and young professionals from across the country gathered in Hyderabad on the Infosys campus to draft the national youth action plan on climate change and the overarching Indian youth Declaration on climate change. The principals in this vision is what we as youth are advocating for and we want all sectors in society to take these commitments to ensure a future of hope for us. We want the government and industry to know that the youth have arrived at last. We are here to pave the way for green jobs but we will need enlightened corporations to come forward. We are here to take up civic duties and hunt for solutions but we will need the support of enlightened leadership in the government. We are here to give a voice to the voiceless and lend a hand to those who feel alone in the dark about how to take action. Join us and become an agent of change today! 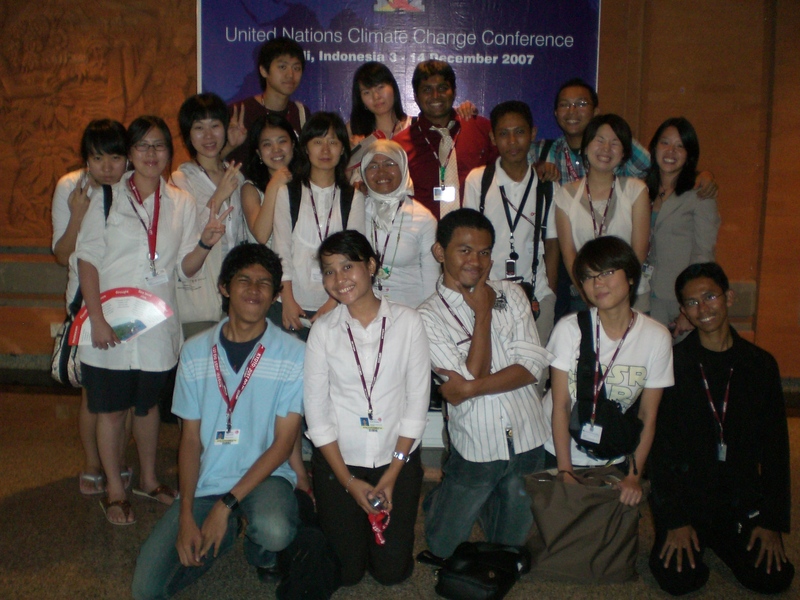 Categories: Events | Tags: climate change, India, IYCN, Renewable Energy India Expo | Permalink.